Sometimes it's all about working with what you have. 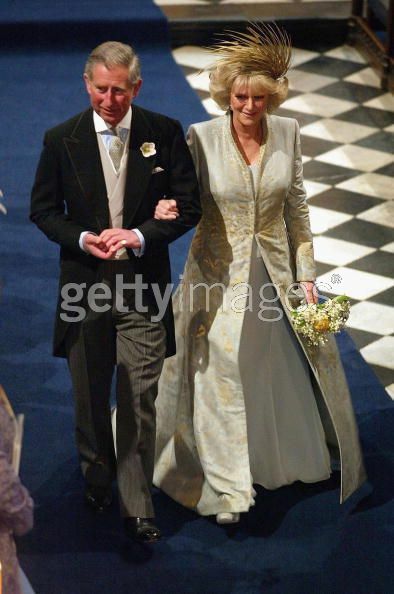 Let's be blunt here: Camilla had neither youth nor great beauty on her side when she married Charles, and comparisons were bound to be made to his last wedding (which featured, of course, a woman who has become iconic for her youth and beauty). 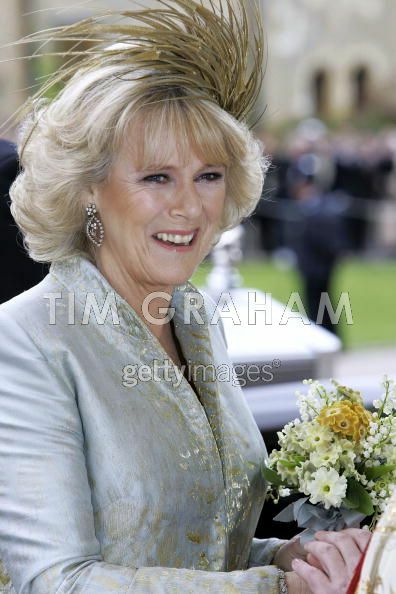 What won me over on Camilla's wedding day was that she didn't attempt to be the second coming of Diana. She didn't try and go there with the white gown, the train, and the tiara. She stuck with who she is, and managed to pull off a double wedding dress triumph. She enlisted the design help of Robinson Valentine for her 30-years-in-the-making big day. For the civil service, they created a delicate cream silk chiffon dress and with a detail of woven disks made in Switzerland at the hem. Over that, she wore an oyster silk basket weave coat featuring herringbone embroidery. At her lapel, a Prince of Wales feather brooch. 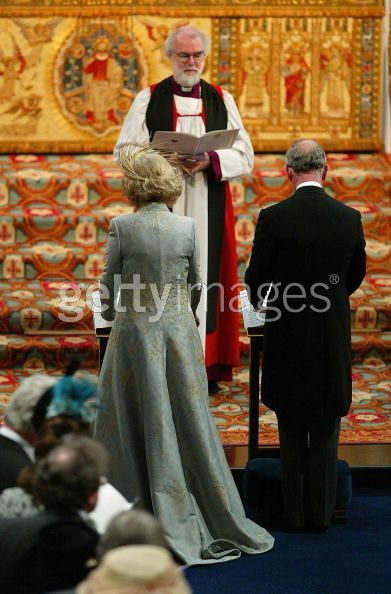 Beige shoes from LK Bennett, a purse from Launer, and headgear from Philip Treacy rounded out the look. Subtle gold embroidery on the blessing dress. Later, for the service of blessing, Camilla changed into a porcelain blue silk coat dress with the slightest of trains that was woven with 5 varieties of gold thread. The effect, intricate yet subtle, made the bride glow in the light of St. George's Chapel. She wore grey silk shoes and a gold headdress, again from LK Bennett and Philip Treacy, respectively. If these dresses aren't extraordinary enough on their own, consider this: Robinson Valentine had only 6 weeks to pull the whole thing off! Impressive job indeed. 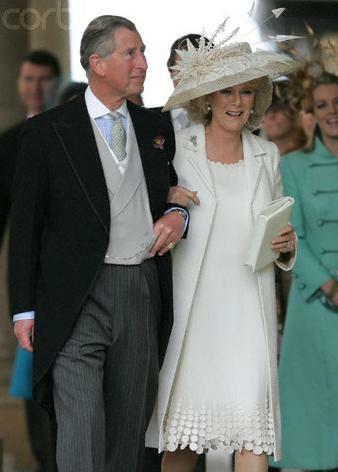 Two fantastically crafted wedding outfits, two major wins.